“In the beginning was the word.” This Bible verse is true even in regards to technical computer related things – Microsoft Word was one of the first and definitely the main file format for everyone learning how to use the computer. Let’s take a less official and less technical look at this format and try to understand why it became so popular, and what takes place behind the curtains. Do you know who exactly developed this file format? It does not belong to “humanity”. 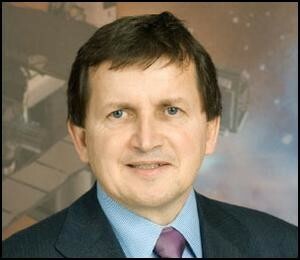 Two programmers – Charles Simonyi (on photo) and Richard Brodie worked really hard to create it. From 1981 till 1990 they released several versions, but the one that brought real commercial success was dated 1990. So, as this experience show, don’t give up, take your chances, and success will follow! Similar to changes that take place in languages, the Word file formats kept developing and undergoing modifications, and this is how two more versions of Microsoft Word appeared offering file extensions DOC and DOCX. Have you ever confronted difficulties working with these two? We bet! At least 95% percent of users did simply because file processing software could not catch with the new requirements and simply could not read the new format specification. Ability to digitally sign a document using your own or your company’s certificate. Now it’s hard to think what our lives would look like without Microsoft Word file format. It is the gate for creativity and imagination; it helps with business reports, letters, poetry, medical papers, research, and much more. Numerous software applications help modify this format, print created papers, or save Microsoft Word documents for future generations. Whenever new software for processing Office applications appears in the market, it again all starts with the Word. The format is likely to change more, and so will the accompanying software applications. But it’s nice to know what it started with, and that behind every convenience stands someone else’s hard work. Enjoy working with Microsoft Word, print created documents or convert them. We at fCoder Group, Inc. have plenty of resources to inspire you! Look at https://www.print-conductor.com to learn how to print tons of Microsoft Word documents automatically. Visit https://www.print-driver.com to learn how to convert Word documents into other file formats, such as PDF or image files. What PDF is, and what file formats are considered image files we will tell you in our further articles.